Here at Bradfield Stage Lighting, we’ve been as busy as bees lately, but we just had to take a moment to share this with you! We recently had the fabulous opportunity to work with A Delightful Day, and their name is no misnomer–they were indeed delightful! 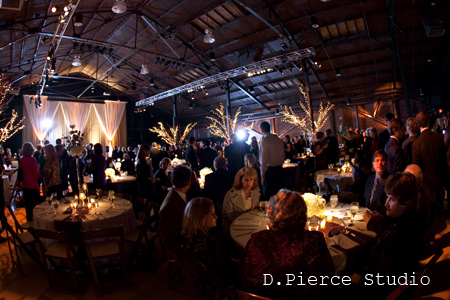 We provided lighting for Jamie & Aaron’s wedding at the Factory at Franklin–a venue we love! It’s such a great space and so easily adaptable to completely different looks. And who doesn’t love an exposed brick wall? We were ecstatic to be part of such an incredible team; it was truly an amazing collection of talent! And be sure to check out the Delightful Day blog about the event for more pictures and details on this elegant wedding! Posted in Production and tagged A Delightful Day, Factory at Franklin, wedding on April 16, 2010 by bradfieldcompany.